Having problems with your app? This is a common problem. 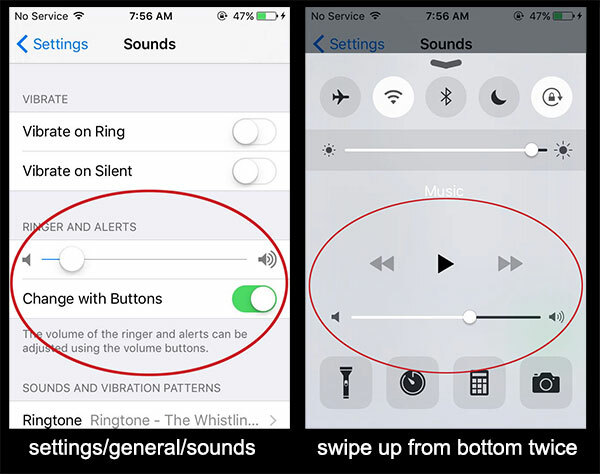 There are two sound settings on the iPhone or iPad, and one of them gets turned down without you knowing it. Go to settings/sound and make sure “Change with Buttons” is on, and that the slider is all the way up. That should fix it. Still not working? Is your phone set to vibrate- check the physical side button and make sure no red is showing. Still not working? 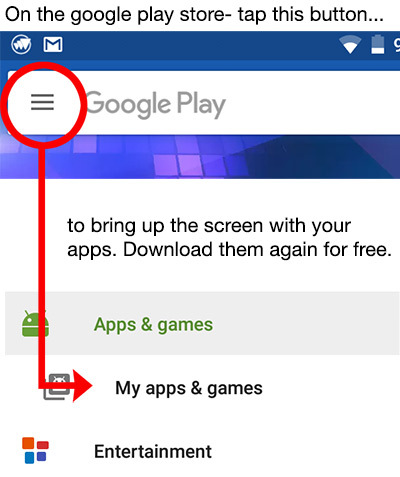 On the trigger point app, on the main page, tap the info button in the lower left, choose “audio” and make sure audio is set to on, and that the slider is up. 1. Delete the app off your device, then re-download it from the app store (for free, it won’t charge you). 2. Restart your device and try the app again. 3. Make sure you have the latest operating system installed. On an iPhone, go to settings/general/about/software update. You should least be at 9.2.1 or higher. If not, update your software and try the app again. Are apps are really large, so most of them will not download over cell service. You will need to connect your phone to wifi to download the app. If it still doesn’t work, restart your phone and try again. If you are trying to get an update, most iPhones are set to download updates at night, so maybe wait a day and see if the phone sorts itself out. Sometimes if you are outside the USA, the google play market waits until your credit card clears before it allows you to download the app- again, sometimes just waiting a day will get it working. Finally- you probably didn’t know this, but we don’t control apple or google’s servers, so we actually can’t do anything about download issues— its all them. We are human! Our apps have a lot on information (and sometimes in multiple languages) so sometimes a text error gets through. Let us know and we’ll fix it in an update. Email us below. For google apps we do have control of refunds. Email us and let us know your username and around when you purchased the app, we can give you a refund- use the form on this page so it will include which app you bought.